August 18, 2012 · by Zack Reyes · Post may contain affiliate links. See my disclosure policy here. New to CVS? Check out our store guide here. See what the abbreviations in this post mean here. Here are the deals for this week at CVS. Stay tuned throughout the week for more updates on unadvertised deals and new coupons that match up to these deals. Below are a few highlights, for the entire list of CVS deals for the week, please visit Mashup Mom. Shows yellow box and multigrain, I’m also hoping they have Honey Nut. - You can print $.60/1 Honey Nut here. $1.00/2 in the 7/15 SS or 8/5 GM. With the $.60/1 Honey Nut, your net cost after two coupons + ECB is as low as $.90 a box. With the $1.00/2 or $.50/1, you’re at net $1.00 a box. - use $4.00/1 Hydro 3 in the 8/19 SS. $2.00/1 Hydro Silk in the 7/29 SS. $2.00/1 Hydro 3 or 5 refill in the 7/29 SS. CoverGirl Last Blast Mascara Just $2.50 Each Net Cost at CVS! August 13, 2012 · by Zack Reyes · Post may contain affiliate links. See my disclosure policy here. We say net cost because you can't just go in there and buy one for $1.25. - So your total is $30, you're using $10 in coupons and getting $10 back for a net cost of $10 for all 4! It's still week 1 of this coupon being out, and I am hoping we'll be able to get this stuff for even less, so we're holding out. Still, $2.50 is a great price for this stuff. August 11, 2012 · by Zack Reyes · Post may contain affiliate links. See my disclosure policy here. Pay $25.50 with $10 ECB back for a net cost of $15.50 for 36 mega rolls. Pay $22.46 with $10 ECB back for a net cost of $12.46 for three packs of GoodNites plus a bonus deodorant. Pay $21.69 with $10 ECB back for a net cost of $11.69 for three bottles of detergent + three six-packs paper towels, or $1.95 per item. 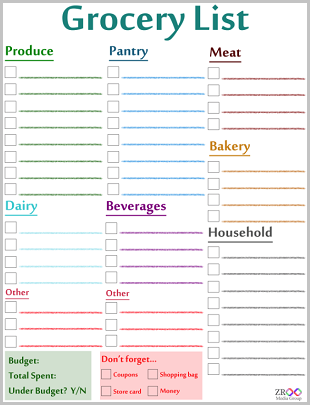 New and Returning Coupons that Make Freebies! Print them all Right Here! August 9, 2012 · by Zack Reyes · Post may contain affiliate links. See my disclosure policy here. There are $1 Shredded Wheat boxes at some Walgreens locations! 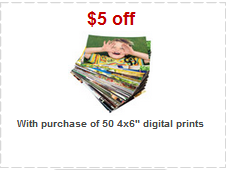 Combine with spend $15 get $5 Extra Bucks promo at CVS. Free if you got the right CVS store coupons from the machine! Stack with $0.50 Video Values Rite Aid coupon and use on the small boxes when they go on sale for $1 each! Use with the Try Me Free rebate here to make $5! 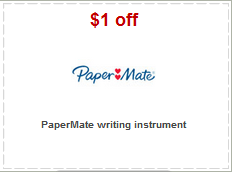 Target coupon - use on the $1 packs of pens. 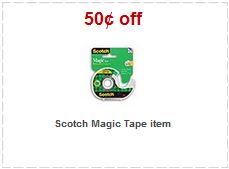 Target coupon - Magic Tape single ct. are $0.49 this week, so pick them up free with the above coupon! There are also a few insert coupons that can make some freebies too! - $3/1 Bic Disposable Razor from the 8/5 SS - use on Silky Touch priced below $3. Use at Rite Aid with +Up Reward deal and BOGO 50% off sale to save even more. - You can also print the $3/1 and $5/1 Glade coupons that will make freebies at Target and Walmart here. - Also print $1/2 Bic coupon here and stack with Walgreens in-ad coupon to get 2 packs of Bic Crystal pens for free this week! New $2.50/1 Twizzlers CVS Coupon Means Free Candy! August 6, 2012 · by Zack Reyes · Post may contain affiliate links. See my disclosure policy here. Update: this coupon reportedly is a $2.50/2 coupon. Wow! CVS has a great Twizzlers coupon out! Head over here and watch the video for a $1 coupon, but share it with a friend and the value becomes $2.50/2! 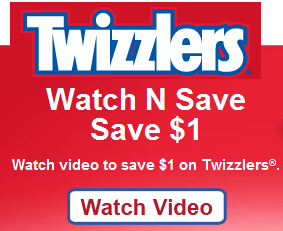 The online price for Twizzlers is $2.24, so this would be free if the in-store price was the same!